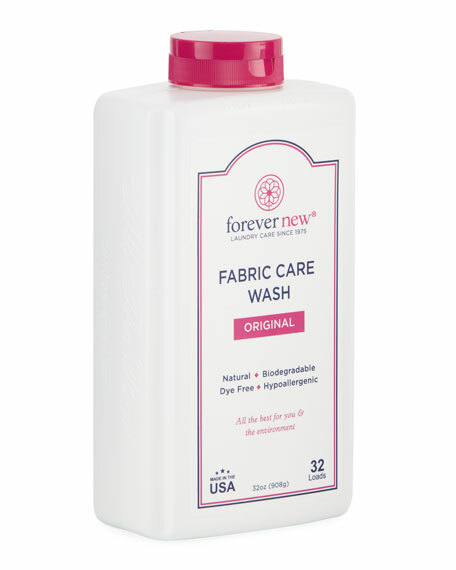 Forever New lingerie detergent is a pure, organic, and biodegradable fabric care wash formulated to gently clean, brighten, and prolong the life of all your fine washables. The natural base of citrus and sodas cleans, then rinses, completely from the fabric, leaving no residue that can damage fibers. Ideal for strapless, backless, sheer, and halter dresses or tops. Cups are seamless, self-supportive, and self-adhesive. Medical-grade adhesive holds bra in place without irritating skin. Can be washed and reused up to 25 times. Silicone. Imported.